Having raised her kids single-handedly, Rajeswari refused to stand aside and let someone else conduct her daughter’s wedding, choosing instead to play a major role in the rituals. As Indians, we are used to rituals aplenty – we know the meaning of some of these practices; for others, we just blindly follow them unquestioningly. Weddings are the perfect example of this. Moreover, with Indian weddings becoming more global in scale, rituals become performances of sort for the benefit of guests. However, if one were to observe wedding rituals, the inherent patriarchy in them becomes evident in no time at all. And no matter how much society progresses, people still tend to follow these age-old rituals blindly. A few years ago, when my friend got married, I noticed that her mother – a single parent – was reduced to standing in one corner, while her uncle and aunt performed all the wedding rituals. Because religion entails that a single mother cannot marry off her daughter by herself – the patriarch needs to be present. As a result, single mothers usually play little or no part in their children’s weddings, and close family members end up performing the wedding. 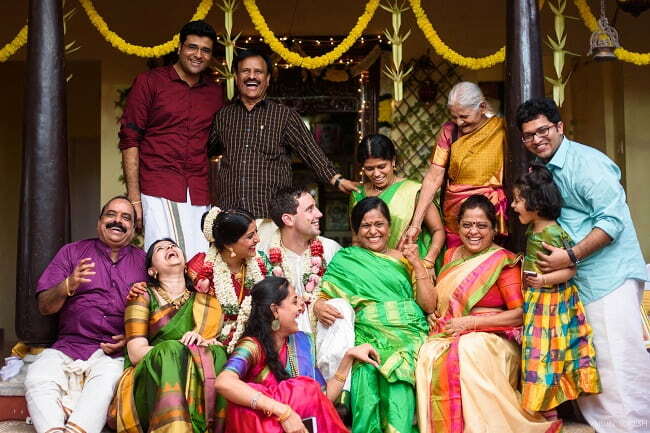 However, a heart-warming photo, shot by Chennai photographer Varun Suresh, of a woman getting married on her mother’s lap has gone viral on social media, shattering stereotypes. Although the ritual itself, called 'kanyadaanam', is patriarchal in nature, this family found a way around it by doing it in their own way, challenging the norms. Raji Sharma, the mother is extremely happy to talk about her daughter’s wedding and how she chose to break the norms. However, things weren’t as smooth sailing as they sound. With two children to take care of, a full-time job and a husband who wasn’t an active part of the family, Raji had to struggle hard to find her footing. After almost 17 years of marriage, Raji and her husband mutually decided to part ways. “Since he wasn’t a major part of my children’s lives, it was not very difficult for them to adjust. My family, in that regard, although very concerned, was very supportive,” she adds. When her daughter, Sandhya, decided to get married to Sam, an Australian, Raji knew that she would have to answer a lot of questions her conservative family would ask. “However, I was very excited to know that she wanted to get married in the traditional Hindu way. Sam was also equally excited,” she smiles. 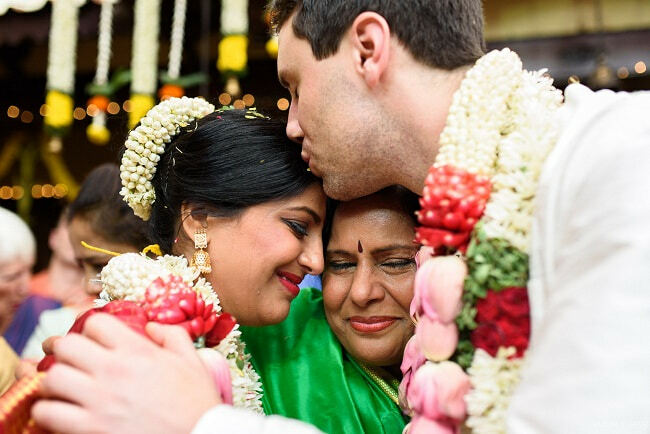 The wedding took place in Chennai last year, with Sam wearing a traditional veshti and tying the thaali around Sandhya’s neck. “The priest also made him recite a few mantras,” Raji laughs. However, they didn’t stick to the usual practises. “I very much wanted to be a part of my daughter’s wedding and so I decided to be the one who had to give her away in marriage,” says Raji. She initially thought that finding a priest who would agree to this would be a daunting task. “I met Raghavan, a young priest, at my niece’s wedding. He was very understanding and agreed to conduct my daughter’s wedding as well,” she says. Sandhya knew she would not have had her wedding any other way. 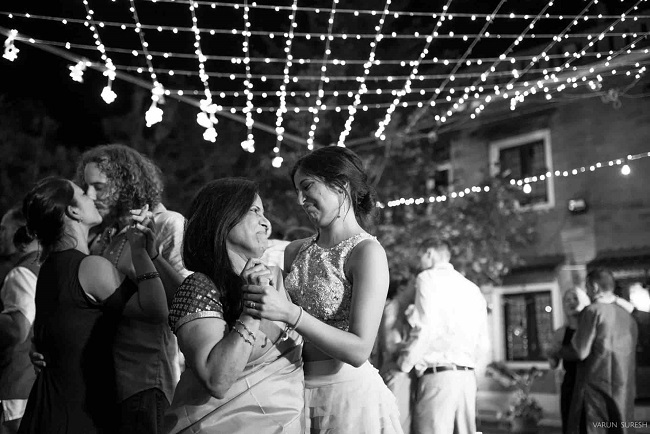 “Having spent most of her time in Australia has given my mother a different perspective to challenge the traditional society and its norms back home in India. We took the best out of its rich culture without being bound by customs that are discriminatory,” she says.